Today, I am taking the short time allocated to me, to speak on the protection of the lives of those who are arrested by the Police. 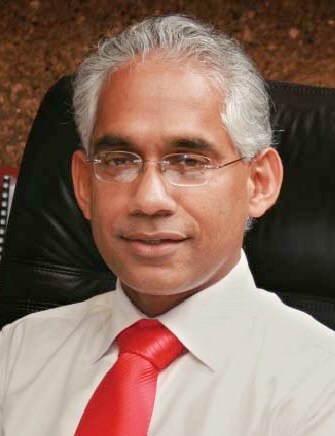 We all know of the incident in Kamburupitiya wherein a police officer and his wife were murdered. Three were arrested as suspects. Now the three of them are dead. They died prior to being convicted of the crime committed. I must state that until the Court condemns a person as guilty, the Police and the Government have the responsibility to protect those who are arrested and treat them as innocent. We are aware that torture and inhuman treatment generally occur. This is something that not only happens in our country but has been happening throughout history. When Kautilya wrote the Arthasastra in 350 B.C. he referred to torture. Our Hindu devotees know that the ‘vedas’ refer to various types of torture. From history we see that when king Ashoka embraced Buddhism, he legally abolished torture. Torture was prevalent in Europe. However, around 150 – 200 years ago, torture was abolished through legal means. Today, in Europe if even one man is found to have been tortured, it could well lead to the overthrow of a Government. Why? Because people in those countries, have learnt to despise torture. However, in Asian countries, including Sri Lanka, we hear stories of some form of torture, in one police station or the other, on a daily basis. Today, if you are on the internet, you would come across many torture victims, speaking about their ordeals. Not only on the web, but you can find many publications on such ordeals. There was a recent publication with stories of about 400 torture victims speaking about their experience. What do you say about Guantanamo detention camp? Have you seen it in the website? Please sit down. This, is not an issue concerning party politics. Please do not disturb what’s being said here. We must completely get rid of torture. Torture in European countries, if any, is not inflicted upon the citizens of their own country. The United States of America does not torture its own citizens. They only torture citizens of other countries. We all must categorically condemn such acts. However, I am ashamed that we torture citizens of our own country. It is not a responsibility that can be palmed off on the Police alone; we too must take the responsibility. We know that Sri Lanka is a signatory of the United Nations Convention Against Torture. .
We implemented the Convention against Torture by adopting Act No. 22 of 1994. We enacted the Act and what did we do next? We established a special unit within the Criminal Investigations Department, to look into the issues of torture and recourse to a judicial process, to reduce and abolish the acts of torture. I must mention that these things were done, during the time of President Chandrika Kumaranatunga. During this period there was a considerable reduction in torture. However, what happened then ? That special unit was abolished on the pretext of the ongoing war. Now, its almost 5 years since the war ended. I request the Minister of Defence, to look into this matter, and re-establish the anti-torture special unit. As a community we must put an end to torture. As a nation with people of different faiths, we must completely stop torture. Torture, stands against all our religious beliefs and culture. The elimination of torture becomes difficult to achieve because of the lack of political will. Even when such important matters are being taken up in this assembly, some members disturb and make irrelevant remarks about past incidents. In the end, important matters such as these, for which we can stand united, are not discussed or taken forward. Let’s work together towards the total elimination of torture in Sri Lanka. If we unite, we can obliterate torture form our country for good. To do that, we need a deep conviction and political will. If we see a woman, being inhumanely treated at a police station, that incident would bear no colour or party. It only requires humanity and that is why I speak about it now. Today the criminal investigations mechanism has become weak. If we are to abolish all forms of torture, those institutions need to be provided with more resources. I am not finding fault with the police force alone . We must strengthen the police . We must acknowledge and accept that some change has taken place in the recent past. That is, the fact that following the last Budget debate, Sri Lanka Police was taken out of the purview of the Ministy of Defence. But that alone is not enough. We need to look beyond.. Some of our Members of Parliament spoke of the salaries of the police personnel. We have within the precincts of Parliament, officers from the Sri Lanka Police, who provide us with security. A Sub Inspector of Police, who has more than 24 years of service, receives a basic salary of around Rs. 18,000 to 19,000. Their allowances amount to around Rs. 6,000 – 7,000. Their total salary is Rs. 26,000. With this year’s Budget they have been given an increase of Rs. 1,200 which is around a 4- 5 percent increase in their income. However, we all know of the prices of goods. To say this in all honesty, the prices of goods have escalated at a much higher percentage than incomes. In addition to better salaries, we need to provide these officers with training and technology. The police service is a profession. To make that profession, an honourable service, both our parties have to work together. 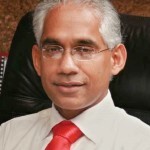 *Translation of the statement made by Eran Wickramaratne MP in Parliament on December 3, 2013.